I always enjoy visiting factories, and seeing Eduardo de Simone’s tailoring factory last month outside Naples was no exception. Indeed, it is right next to the first such tailoring factory I visited - Kiton back in 2011. The Edesim factory (a compression of Eduardo de Simone - also Eduardo’s grandfather’s name) is unusual in having a small bespoke operation inside the factory (below). This is not big business though. Eduardo describes it as the flower in his buttonhole, by which he means nice decoration, but nothing more. He knows - given that he makes RTW, MTM and bespoke, the first two retail and wholesale - how little money there is in bespoke tailoring. The hours involved, the travel required (certainly today), the risk of things going wrong, the lack of good design, the small number of people that will ever really appreciate the craft, and the lack of scalability. All these things make bespoke a difficult business. Eduardo started his little sartoria just as a way to make bespoke suits for the bosses of the companies he made RTW for. For him the future is a merger between the bespoke and RTW: a suit with handwork that approaches bespoke (hand padding, hand-inserted armholes, hand finishing) with an MTM level of fit. That removes the need for fittings, travel costs, and remaking the whole suit a couple of times. Still a great product, but at a much lower price. Of course, MTM can fit very well. The problem with MTM is usually the variation in quality. 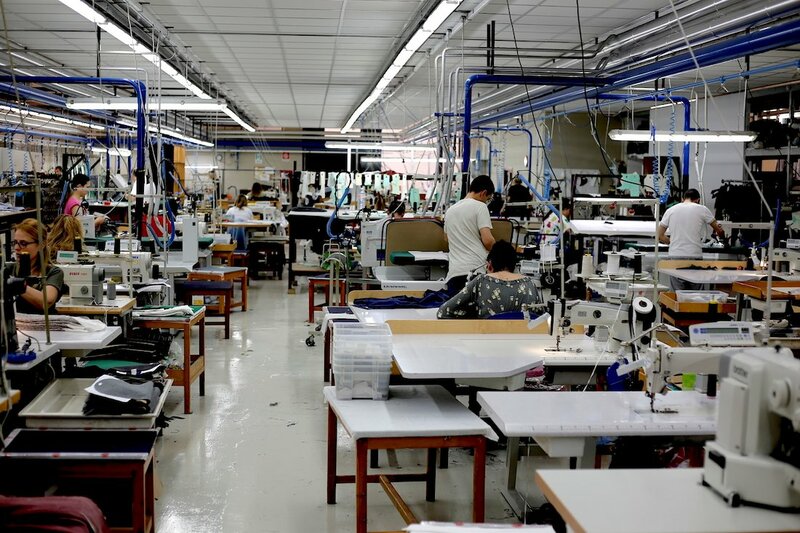 You could be fitted by a 22-year-old sales assistant with no experience, knowledge, or familiarity with the factory, or by a master pattern-maker who designed the whole system himself. The difference is huge. High-level MTM is something Eduardo wants to do more under his own brand, and with the big and small brands the factory works for. I do empathise with Eduardo’s view. Personally I will always prefer bespoke, both for the level of fit and of make. But I completely understand why someone on a lower budget or lack of access to tailors would choose high-end MTM. And doesn't have that option at the moment. 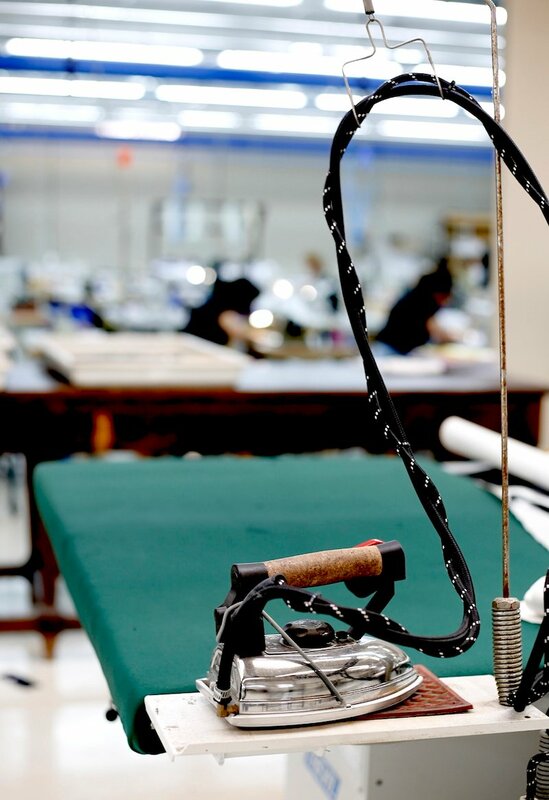 Eduardo’s history is also a reflection of the ups and downs of RTW and bespoke. 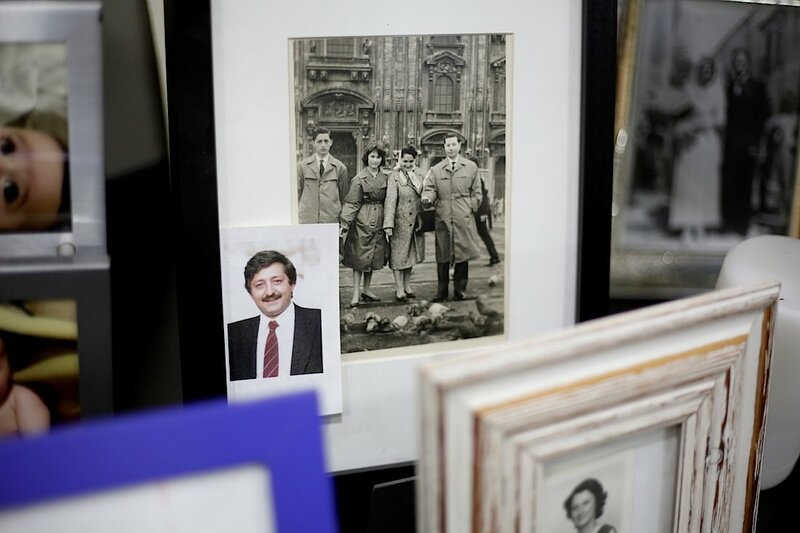 His great-grandfather was a tailor, who started his own house in 1896 near Caserta (black-and-white photo above). After a while he moved closer to Naples and expanded into a RTW workshop. This got bigger and bigger over the years, passing to Eduardo’s father (the snapshot above), who made Edesim into a brand name. The factory employed over 250 people by the time it hit financial problems in 2000 and had to close. Eduardo started up again in 2006 - with two seamstresses, his brother Marco and the Edesim name. His aim is to make at the highest level of RTW, and as a result probably not get too big. He works for four big brands and a handful of smaller ones. The Edesim line is no more than 5% of the business, and bespoke even less. The quality of the RTW is good, with great pattern matching and finishing (eg Milanese buttonhole, above). 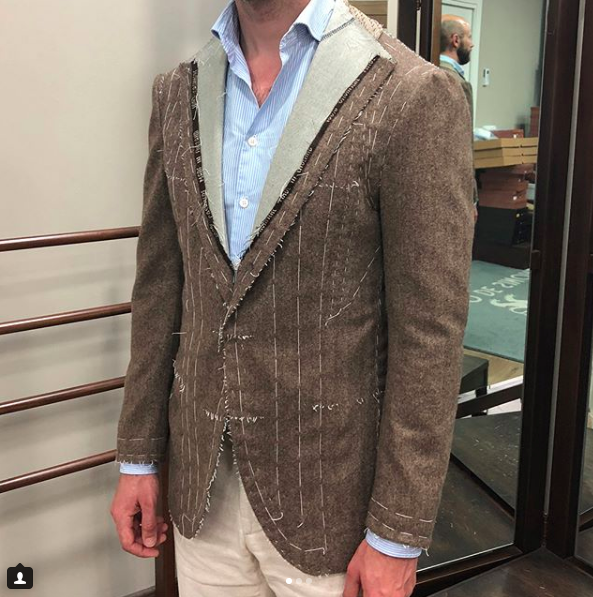 There is also a little cross-fertilisation between RTW and bespoke, with things like washed cotton jackets (below, usually not possible bespoke) being made in the factory on bespoke patterns. But with Eduardo most of the influence goes the other way - with bespoke techniques being tried in the RTW, and perhaps leading to that high-level MTM that he thinks is the future. I decided to try the bespoke service, rather than MTM, and will report on that later. We managed a first fitting the next day in Naples, and will do a second in Florence, so hopefully the finished article won’t take too long. It was striking talking to Eduardo again - at the fitting - how few people have his awareness of both bespoke and RTW fashion. Most tailors know nothing about fashion, about trends in style or in business, while many brands don’t have a tailor’s knowledge of cloth. It was a conversation about vintage cloth that led to me picking a W Bill cashmere in brown herringbone for my jacket - the bolt of which was sitting on the shelves, and I kept stroking compulsively. Cashmere won't be a daily workhorse of a jacket, unlike some of the small-run tweeds we looked at, but it will feel lovely. Thank you, Eduardo, for your hospitality and impassioned conversation. You can follow the discussion on Eduardo de Simone (Edesim) – The factory and the future of MTM by entering your email address in the box below. You will then receive an email every time a new comment is added. These will also contain a link to a page where you can stop the alerts, and remove all of your related data from the site. Interesting! Combining the experiences of both ends of the spectrum sounds great. What’s the pricing for bespoke, and is it open to the public? I’ve been wanting to get a completely unconstructed, cotton(?) jacket done bespoke for a while now, but it *is* very hard to find a tailor who can do that. Yes, the bespoke is open to anyone – either by appointment in Naples or in Milan. Prices from €1500 for a jacket, €1700 for a suit. That’s very good value if you can get out there. Do they have a good reputation? Yes not bad, though better reputation is for the RTW and factory, rather than bespoke. Obviously I can comment more when I’ve had my jacket made. Look forward to the review. Flights to Naples from the UK are cheap, so definitely an option. Stockists , availability, are they in UK etc etc? The rest of the factory makes for brands, which as I said I won’t go into. Such a very Italian website… i.e. utterly hopeless! Milanese button holes , working cuffs ….. …. WHY ? Aren’t they more about dressing the ego then the body. Why don’t tailors forego these in favour of better fitting suits . Give us hand padding etc. if it helps with fit and forego the working cuff because I won’t be rolling my jacket sleeves to perform surgery any time soon ! I refuse to buy any RTW with working cuffs because it makes sleeve length alterations either so much more complex (i.e. at the shoulder), or poorly executed (at the cuff itself). Such a pretentious affectation in RTW. Hey Josh. I can definitely see the point on making alterations easier, but is it really that pretentious? Surely they’re just as unnecessary as with bespoke? Or is the point more that the maker is trying to pretend the suit overall is of high quality by adding needless finishing points like this? JoshGTV ( are you an Alfa Fan) ! This question is not related to this article. There’s been this unusual trend in Manila, Philippines I’ve seen steadily grow since going there summer last year periodically for work. It’s the use of a safari jacket in place of a coat thanks to a tailor called Tino’s, from what I’ve been told by the locals. What’s your take on that? I’m curious cause it actually looks quite comfortable for the summer months and have not seen it featured anywhere. Is this a weird trend or a “faux pas” in sartorial attire that died in the 70’s but somehow is resurrected in the Philippines for their use? Thank you. If it’s used currently in the UK and Italy then I’ll get one done too, for semi formal work wear. Great to see Edesim on Permanent Style! I had the chance to work with Eduardo. From top designers of LVMH to tailoring brands, Eduardo have the experience to adapt to many styles, many fabrics, many sensibilities. Edesim is always delivering amazing quality garments for the Paris fashion week, even if the designs are little complicated or sometimes crazy. Eduardo doesn’t have this “industrialist” mindset. He is really passionate by tailoring and fabrics. I am very happy about my bespoke jacket. Right on the first fitting, he understood my strong neck and my shoulders going forward due to many years of combat sports. 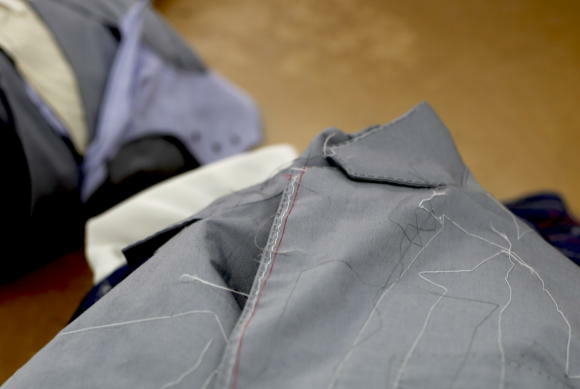 An interesting angle on the future of tailoring. Though I’m slightly disappointed you choose to go bespoke with Edesim, when they are offering such an interesting take on MTM. Would it be possible for you to comment on the “house-cut” of their bespoke compared to the MTM block, as well as the differences in make? To be clear Gavin, this isn’t really something they are offering at the moment. As I said in the piece, it’s more what Eduardo wants to offer. Simon what do you think about Tom Ford in the context of high-quality MTM/RTW – that’s one brand that’s fairly ubiquitous/accessible? I haven t tried their MTM but TF rtw in my opinion is ahead of Z, even Z couture line. Buttonholes are machine made but I don’t really care. I don’t know what is hand padded underneath or not but the shape of the breast is great. At €3500 a suit I would not call it good value though ( I buy the cut). Thanks, and a very self-aware choice even if it’s not what everyone would prioritise. Do you have any intention to go sant’andrea milano factory visit? Or it is a good idea to compare with other high level of MTM such as caruso, belvest and of course cesare attolini mtm. Are Mason & Sons worth consideration or do you suggest somewhere better for ‘Conduit Cut Shape & Drape’? Simon, when you write “This is not big business though. Eduardo describes it as the flower in his buttonhole, by which he means nice decoration, but nothing more.” I defer to the fact that you were there and I wasn’t. That said, the Italian expression “il fiore all’occhiello” (the flower in the buttonhole) would generally be understood to have a different meaning. Not ‘mere decoration’ but rather a mix of the expression in English when someone says X is “their calling card” and the idea of something that you are most proud of. Very nice to hear about the Edesim factory. I’ve only started my “sartorial journey” for 3 years now, but I’ve recently purchased a MTM suit from one of the small brands Eduardo works with (a little Parisian brand near Versailles, not to name it) and the quality of the make is truly astonishing. This really is the kind of factory blogs and afficionados should be talking about more ! I fully understand why you chose to try the bespoke option, however I secretly hope for some more reviews of high end MTM as the Saman Amel piece in the future of Permanent Style. I think it would be a great benefit to many of your readers. Artisans/brands that comes to mind are Cesare Attolini, Orazio Luciano, Ring Jacket, perhaps Drake’s MTO (Belvest I believe?). Given they tend to travel more, theoretically at least, they should be more accessible to a bigger part of your readers. Looking forward to seeing an update on this cashmere jacket though, fabric looks lovely indeed. 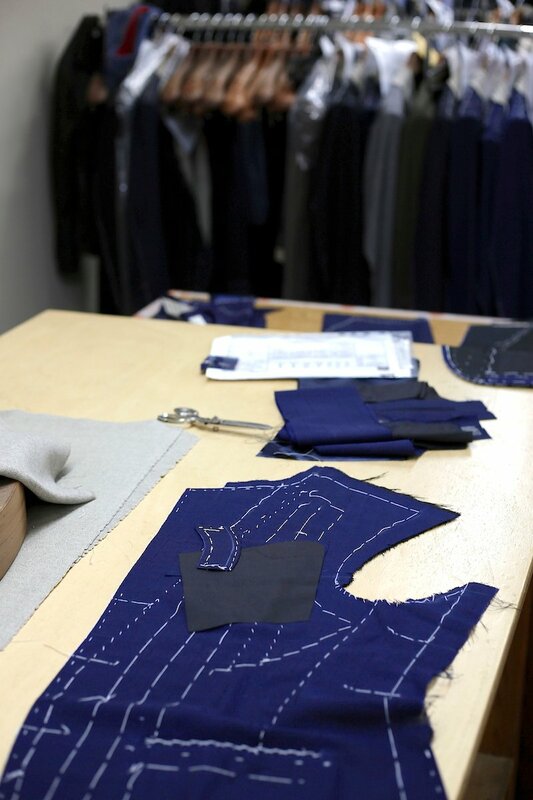 If you can’t or haven’t yet found the correct tailor for you, MTM is going to be a better and more cost effective choice. That said, if you go MTM getting the correct person to measure you is key. 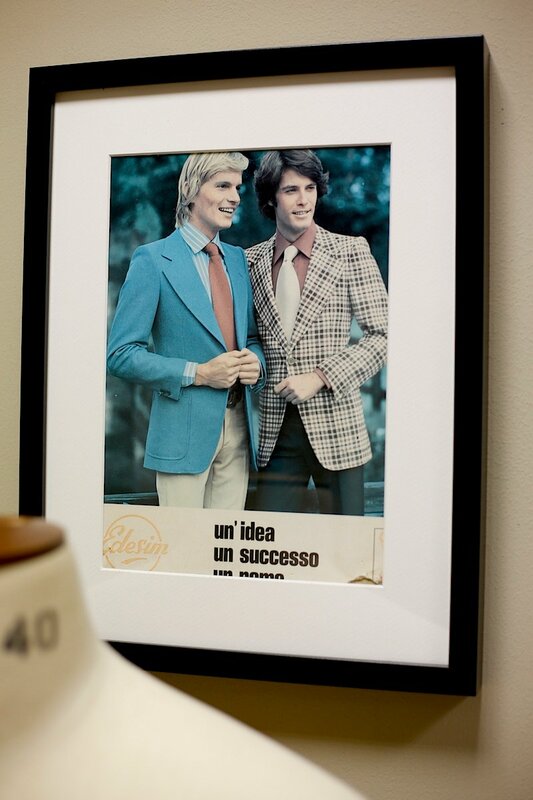 When I lived in the US I used to use Zegna quite a lot and discovered a couple of things. Firstly they did different cuts for the US & Europe (the US sizes weren’t smaller !). I used to have their tailor measure me up and then order the Europeon cut. It worked pretty well and certainly better than a bespoke misadventure. Secondly, you had to be quite pushy to get them to add details. Ultimately A&S proved to be the Holy Grail for me but I fully appreciate they won’t be everybody’s cup of tea. They certainly won’t do you one of those tight Italian jobs with the bum freezer jacket. Thank God ! MTM is great in theory but the practice of it doesn’t always match up. Similarly there are many MTM providers that are considerably more expensive than bespoke. Unless you particularly want a famous persons name sewn inside your suit or particularly love a certain designers style then I would at least double check what you’re getting is better/has greater value. I certainly know when I was green to all this I thought the same and went for MTM and received a very unsatisfactory result. The next suit was with Graham Browne bespoke and not only was the fit massively better it was actually cheaper too. Judging by some of the comments I think the articles should mention as much of what shouldn’t happen with bespoke / MTM as what should happen . I wonder if you have already done (and if not had any inclination or plans to conduct) a comparison of one company’s RTW, MTM and bespoke offerings. It seems like Edesim would be a good candidate to scrutinise the differences in fit and finish. It would be furthermore interesting to see the suits in the same material with the same styling. Though, I understand its unlikely considering the expense. My first observation is that the jacket you are having Tailored by this company is astonishing for a 24 hour turn around. 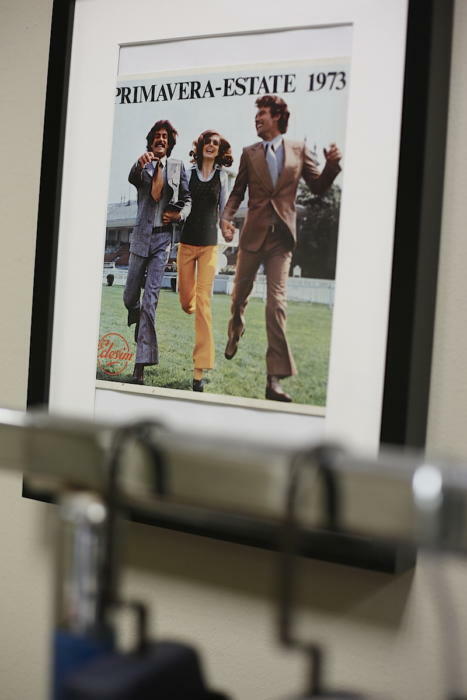 Reading the other posts it is abundantly clear that what most customers don’t appreciate is that many cloths that are now available to Tailors are more suitable for MTM. Colin Hammocks blood would curdle at the thought at “Tailoring” many of the cloths that are now available and as Richard Anderson states I’m his book much preferred to work with 13/14 ounce material. MTM is not second best in many instances it is a better option. Really like the sound of this Simon. Thank you also for the clear definition between offerings. I also like John’s idea about a comparison bespoke/MTM/RTW (it would be great if Edesim could accommodate). Looking forward to the review. Looked at the shop, and liked their Castore outfit http://www.edesimselection.com/en/product/castore-outfit. I am sure it is just me, but I do not find any contact details: do you have an e-mail address? Hi, could you mention their made to measure prices? How much handwork is involved in their made to measure garments? Would you by any chance have the contact details for Eduardo De Simone?